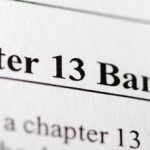 Chapter 13 allows you to keep your assets while you pay a portion of your debt with your future earning. Chapter 7 Bankruptcy lays down the guidelines on which among your properties you will keep, while Chapter 13 determines the amount you must give to pay off your debts from unsecured creditors. Chapter 13 bankruptcy lets you to come up with a repayment plan, which is usually in a form of monthly payments you give to a certain bankruptcy trustee. The amount of your monthly payment is based on your salary or income, your liabilities or expenses, your properties or assets, and the amount of your debt. However, in the repayment plan you make in a Chapter 13 bankruptcy guideline, there still are debts that you have to pay in full. These are priority debts like your child support, alimony, certain taxes, and the mortgage you have to pay. You don’t have to fully pay your general non-priority unsecured debts, including your credit cards, medical bills, and personal loans. The amount of money you should give to your unsecured creditors depends on your disposable income and if you can successfully manage to exempt the assets you have. How Can You Exempt Your Assets? Based on the Chapter 13 bankruptcy, your bankruptcy trustee is not allowed to sell your assets to pay off your creditors like how it works in Chapter 7. Instead, your unsecured creditors will get the property or portion of your property you were not able to exempt. The disposable income you have should be given to your Chapter 13 repayment plan. But in this plan, the money you give your non-priority unsecured creditors is also determined by your non-exempt assets. You can’t propose a plan if your money is inadequate, which means it is not enough to pay the unsecured creditors. To make sure that your repayment plan works best for you in Chapter 13 bankruptcy, it is always best to consult or hire a lawyer. Fill the quick Enquiry Form available on the right of your computer screen and get immediate legal help from expert lawyer in Bankruptcy laws.